MIES, Switzerland (3x3) - FIBA has officially announced the calendar for its 2014 FIBA 3x3 World Tour, with some of the world's most cosmopolitan cities set to play host for the third season of the fast-paced discipline. 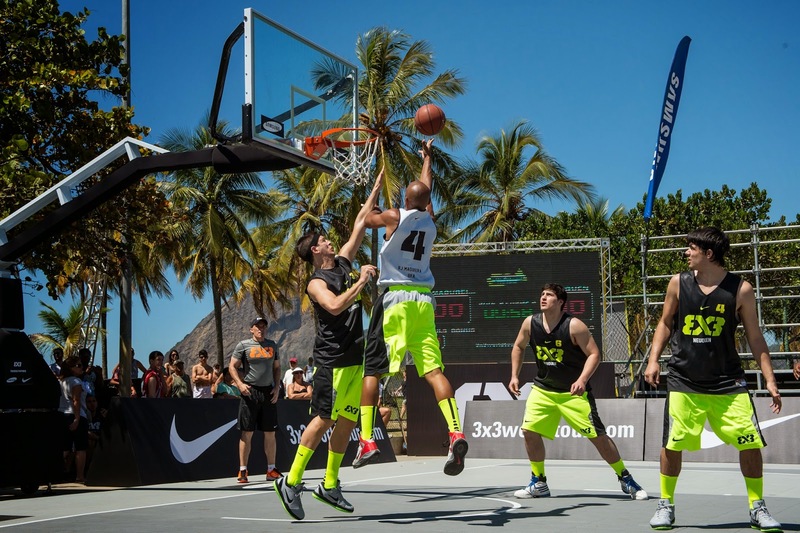 In 2014, the FIBA 3x3 World Tour will visit Manila, Prague, Chicago, Olympic capital Lausanne and Olympic Host Cities Beijing, Rio de Janeiro and Tokyo. The FIBA 3x3 World Tour sees teams representing cities from around the world qualify for six 12-team Masters events via a worldwide network of qualifying tournaments. Any tournament in the world can be part of the network and have its teams qualify directly or indirectly to the FIBA 3x3 World Tour. The only requisites are the use of the 3x3 Rules of the Game and the 3x3 EventMaker, FIBA's proprietary state-of the-art freeware to organise 3x3 events. Any team of four players is eligible to participate. The 12 best teams from the Masters events qualify for the FIBA 3x3 World Tour Final, which will be held in Tokyo, Japan. FIBA Secretary General and International Olympic Committee (IOC) Member Patrick Baumann said: "It is already chapter 3 for the FIBA 3x3 World Tour and after two successful editions, FIBA will bring the event to the next level in 2014. "The World Tour has produced some breath-taking games both for the players and the 250,000 spectators who came to support them all around the world last year. "Our concept of an elite 3x3 basketball event and urban festival has conquered many new organisers and this led us to increase the number of Masters from five to six this season. "We are glad to return to Prague, Lausanne, Rio and Tokyo and are looking forward to making our first visit to Manila, Beijing and Chicago, three international cities that share the same unlimited passion for basketball. "The growth of the World Tour reflects the ever-rising popularity of 3x3, which many people from our sport and beyond still hope will become an Olympic discipline. In the meantime, 3x3 will be featured again this year at the Youth Olympic Games." The team from Brezovica, Slovenia, succeeded Team San Juan from Puerto Rico, as FIBA 3x3 World Tour winners in Istanbul, Turkey on 4-5 October 2013. Their top scorer, Blaz Cresnar, is the current leader of the 3x3 Individual World Ranking. A Dunk Contest and the Samsung Shoot-out Contest will take place at each FIBA 3x3 World Tour event. The list of 2014 FIBA 3x3 World Tour Qualifiers will be published shortly. The 3x3 Founding Partners, who support the development of the young discipline are Samsung and Nike; FIBA 3x3 events are played on Sport Court's floors with Schelde backstops and Nautronic scoreboards. Exciting, urban and innovative, 3x3 basketball is inspired by several forms of streetball played worldwide. Steered by FIBA, games see two teams of three players face off on a standard half-court.